What can I say about this book... I loved it. Image a place where everyone under the age of eighteen has to have a regular blood test. The test is designed to show up a certain defect. Anyone with the defect is taken away to the Death House. The defectives have an incurable disease, and in time they will begin to change. Toby is one of the unlucky ones, he has tested positive, he is one of the defectives. Unaware of his test results, he arrives home from school, is torn from his family, and taken to the Death House. 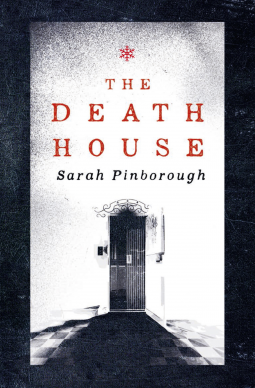 The Death House is a remote place, where he, and other defectives are forced to live. Separated into dorms, they are monitored daily by the matron and her team of silent nurses for any sign of change. The defectives are resigned to their fate, then a new arrival upsets the status quo. Fear dominates the defectives existence, they know that once the change starts to happen they will be ostracised by the others, and transported, in the dead of night to the terrifying sanatorium. No one returns from the sanatorium. I loved the way the character of Toby and the others developed. The author completely captures the power struggles between the dorms, and how friendships survive, or are destroyed by the changes. The plot moves at a good pace, and there are plenty of twists. The novel wasn’t quite what I was expecting, it was better. It’s about fear, friendship, coming of age, love, and the power to change the unchangeable. The story is very poignant, and the writing is lovely. It’s one of those books that you have to keep reading because you have to know what happens. The narrative is chilling. How would you live knowing that you could change at any time, and be transported away in the middle of the night. Could you cope with not knowing what’s going to happen to you, because you've never seen anyone completely change, and no one has ever come back from the place you are going to. I would have liked to know more about the changes, but maybe not knowing is worse, the imagination is a powerful thing. Be prepared for some heartbreak, I must admit to shedding a few tears. The book is haunting, and stayed with me long after I read it.